Macie is always willing to play dress up and humour her little sister when she wants to dance. She gets good marks at school and has got some more support in place now for her dyslexia. She now enjoys reading and will happily read Lottie’s favourite books to her. She didn’t have much self-confidence when she arrived in this foster placement. Now she’s more settled and has come a long way, especially in how she engages with family life. She now comes home ready to tell her carers about her day and is much better at making eye contact with people when she’s talking. Macie struggles with missing her mum and is often unsettled after seeing her at contact sessions. She’s good handling her brother’s behaviour but can find Callum embarrassing especially when she’s got friends over and he’s kicking or biting. Callum’s really into cars and has an encyclopaedic knowledge of Formula 1. When he came into foster care Callum was diagnosed with autism. He doesn’t interact with the people around him and likes the stability of a consistent routine. When his routine or environment is changed or disrupted he can quickly become upset and can occasionally hurt himself. His foster carers have received some specialist training to help them handle Callum’s behaviour and this has helped them identify the triggers for him becoming upset more quickly. They’ve discovered that watching racing is the quickest method to calm him and he’s got a TV in his room so he’s able to go there when he’s distressed. The techniques his carers have learned around managing changes and transitioning mean that since being in this placement Callum has had many ‘firsts’ including a family holiday in a caravan and they’re already planning a trip to see the sea for the first time. Lottie loves going to school and is enjoying being in reception particularly when she gets to do art. She’s happiest when she’s got some crayoning to do and is content to sit alongside Callum and do colouring. She’s not old enough to really understand Callum and can be frustrated when he doesn’t want to play games with her. Her foster carers are working alongside the staff at school to help her reach some milestones and she’s now able to write her own name and use a knife and fork. They’ve also been encouraging her to come out of her shell a bit and she’s been going to dance lessons at the weekends. Her favourite lessons are ballet and she often puts on shows at home for the family with Macie cast in a supporting role. Lottie doesn’t sleep very well and occasionally wets the bed, but with the security of the placement and support from her carers this is improving. 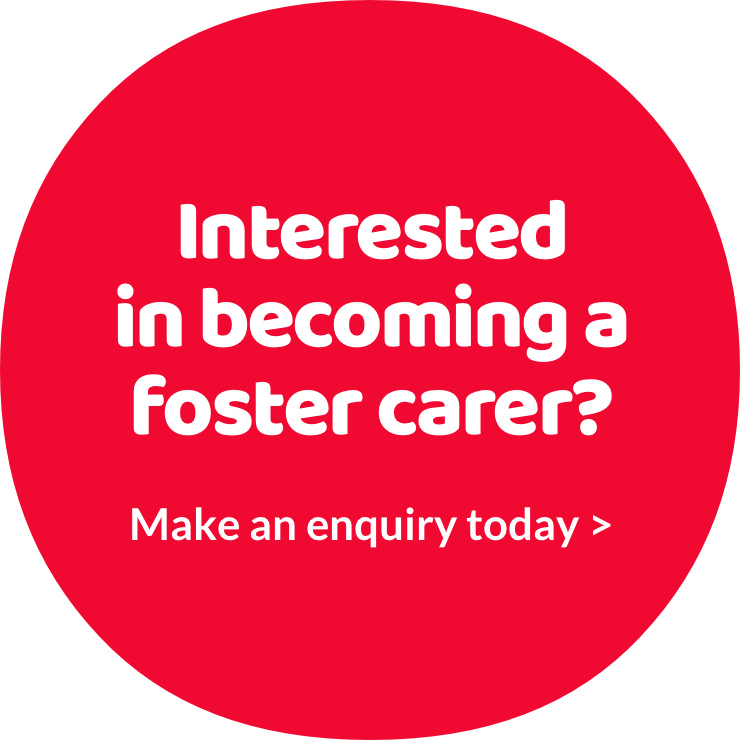 Their foster carers are happy with how they’ve all progressed in their placement and enjoy spending time helping each of them developing their interests. Although the children are very different there are plenty of things everyone enjoys and they all enjoy a quiet afternoon with a DVD. Mum of three Mary always thought her first year in fostering would mean caring for a baby or child with special needs. But when she was offered the chance to foster a nine year old boy, she and her family decided age didn’t matter – and say it’s one of the best decisions they ever made. 'Sam fitted in really well right from the start which was good. Everyone in the family adored him and he made new friends very quickly in this new area,' said Mary who took Sam in on a long-term placement. He will now stay with her until he reaches adulthood.